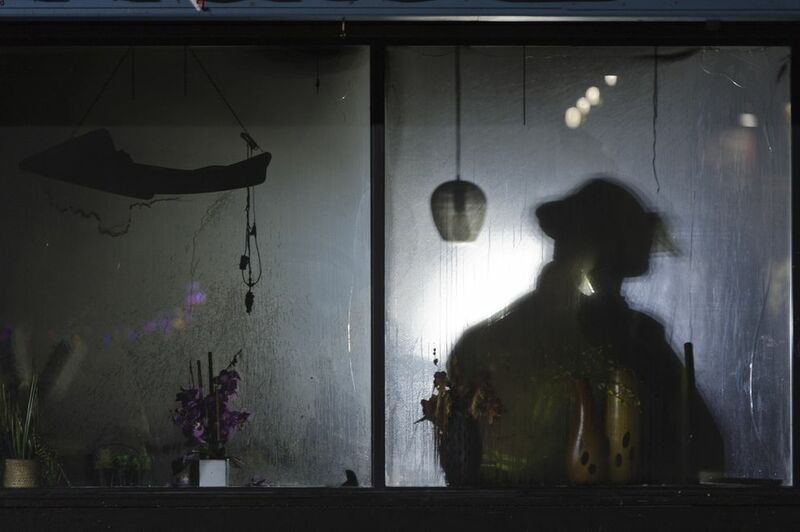 A new and “suspicious” fire was reported early Thursday in the same building as Yakitori Sushi House, the restaurant on Tudor Road that’s already the subject of an arson investigation, authorities say. The fire started at Noodle World, two businesses over from Yakitori Sushi House. A liquor store sits between the two. 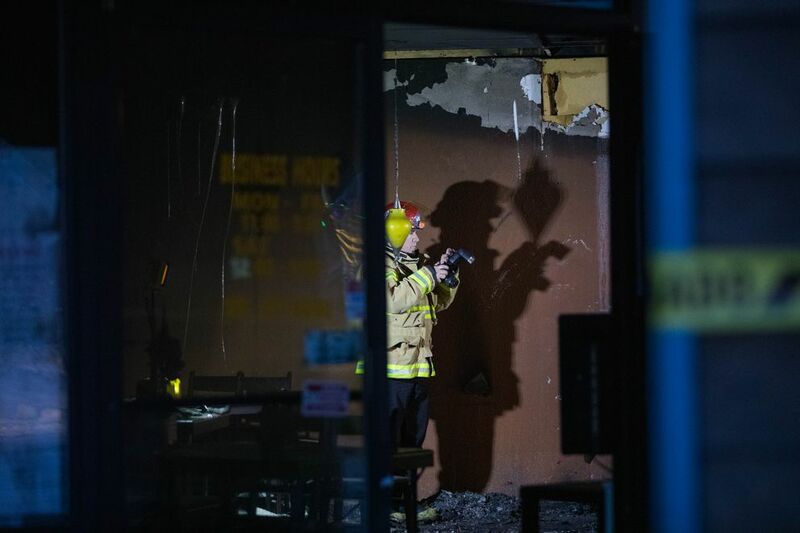 The Anchorage Fire Department received a call at 6:08 a.m. Thursday about “fire and smoke” coming from Noodle World, according to Assistant Chief Erich Scheunemann. Units that arrived within four minutes had what Scheunemann called a “minor fire” knocked down by 6:15. 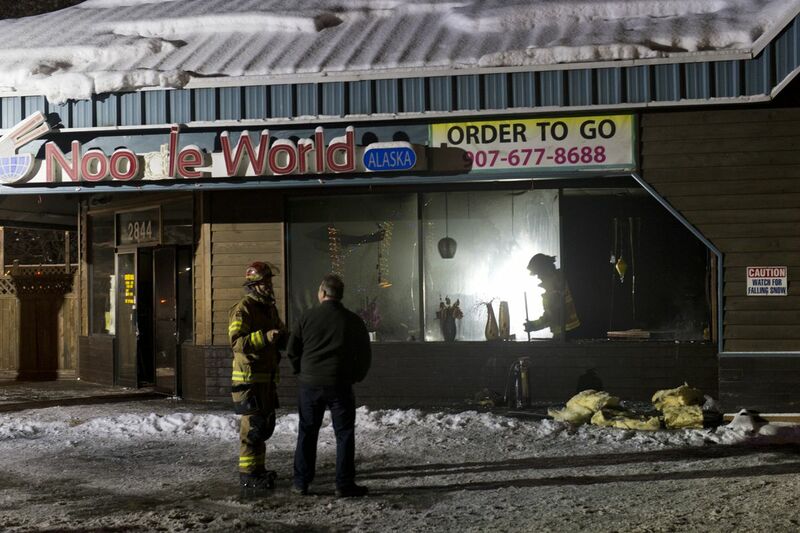 The fire caused an estimated $10,000 in damage, Anchorage Fire Marshal Cleo Hill said. A front window at Noodle World was shattered, and an inside wall appeared to be heavily damaged. Owner Elizabeth Yuk, at the scene Thursday morning, said her restaurant was already closed temporarily because of smoke damage from the Yakitori fire. Now she doesn’t know when she will reopen. Yuk said she was just talking with her insurance company about repairs from the Monday fire when this one happened. She said a witness saw someone break the window and start the fire. Hill confirmed that police have spoken with witnesses, though police spokeswoman Renee Oistad said the agency will not be releasing any further information about the fire investigations until an arrest is made and charging documents are filed. The two fires are connected “by location,” Hill said. “It seems odd that they wouldn’t be connected. We haven’t tracked that down 100 percent,” Hill said. Noodle World was broken into on the same morning the Yakitori Sushi House caught fire, authorities said. Yuk said about $30 was stolen from the restaurant. Before that, the restaurant had never seen any burglaries, Oistad said. A fire investigator was on scene Thursday morning. Police are also assisting the fire department “like we do with any fires that might look suspicious,” Anchorage Police Department spokesman MJ Thim said. 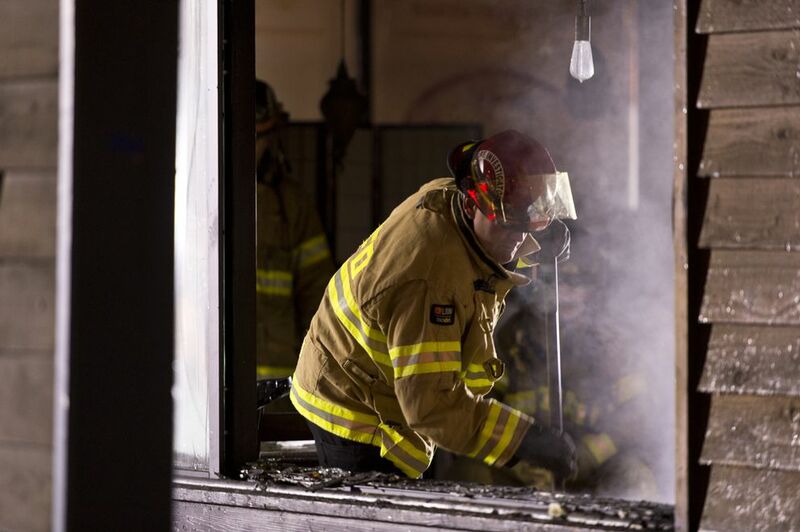 Yakitori Sushi was destroyed in a fire early Monday morning. Anchorage police are investigating that fire as arson. A surveillance video captured two men fleeing the restaurant at the time -- one with his glove on fire. Police have released the surveillance video to the public, but would not provide information about whether detectives have received any tips about the identities of the two suspects. Neither Yuk nor Choon Chit Shim, the owner of the Yakitori Sushi House, recognized the men in the video, Yuk said. Veteran ADN reporter Zaz Hollander is based in Wasilla and covers the Mat-Su region and breaking news.